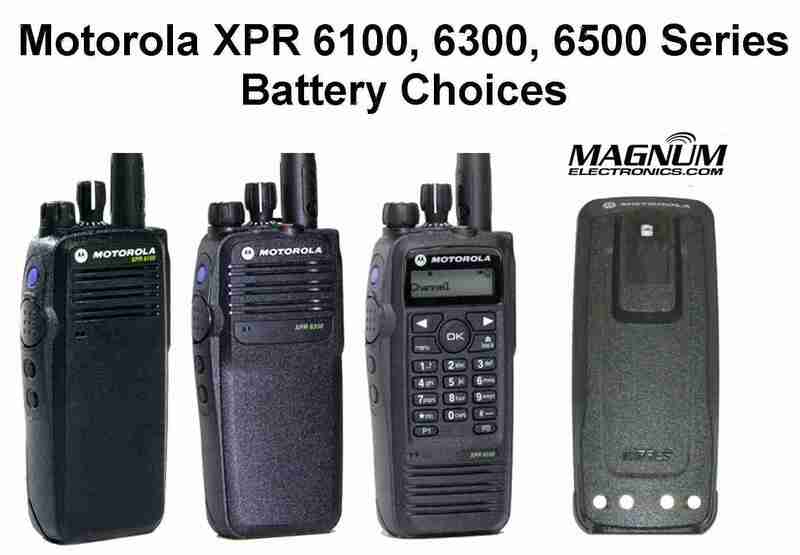 Motorola XPR 6100, 6350, 6550 Battery Choices Explained | Magnum Electronics, Inc.
Motorola introduced the MOTOTRBO DMR digital XPR 6300 (non-display) and XPR 6500 (display) series radios in 2007. Surprisingly, we still see some of the batteries with date codes five years old and still in use. It is probably due to the IMPRES automatic conditioning feature that Motorola patented about 10 years ago. A fresh battery can improve your radio performance and eliminate intermittent problems when voltage fluctuates. Due to the new enhancements with MOTOTRBO (i.e. Bluetooth, LTR, GPS, lone worker, etc) you should make sure you choose the best battery for your needs. Replacement batteries do not include a belt clip so be sure to remove it from the old battery. 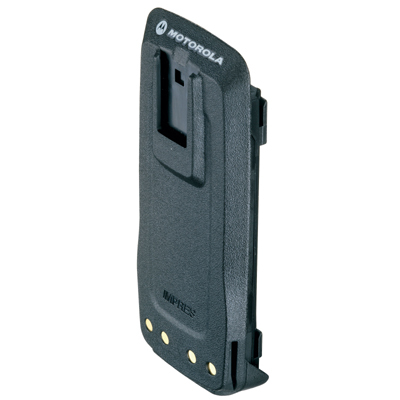 All Motorola XPR 6000 series MOTOTRBO batteries are built tough with a IP57 submersibility rating meaning it can withstand being under three feet of water for 30 minutes. IMPRES smart charging is also standard on all four battery choices. The Motorola PMNN4077C is the most popular battery because it provides the highest capacity at 2,200 mAh. The extra capacity is needed if you use a Bluetooth adapter, optional LTR trunking board, or if you require maximum battery life for long shifts. It uses Li-ion chemistry and is only slightly thicker than the PMNN4066A. The Motorola PMNN4066A uses Li-ion chemistry with a 1,500 mAh capacity. It was included with the original XPR6300 non-display, non-GPS radio back in 2007. It is recommended if you use digital mode only and no power consuming options like GPS, Bluetooth, etc. It is slightly thinner but we normally recommend the higher capacity PMNN4077. The PMNN4069A is the only FM battery that is intrinsically-safe rated. It has a green dot on the bottom of the battery and a FM label. It must be used with a XPR radio that includes the factory installed FM option. Look for the label on the radio and a green dot on the bottom of the radio. The battery capacity is 1,400 mAh and it uses Li-ion cells. There is no benefit in purchasing a FM battery and using it with non-FM radios. It will work but there are no advantages. For anyone using their XPR 6000 series MOTOTRBO radios in extremely cold environments the PMNN4065A is the best choice. Li-ion batteries should be avoided because they do not perform well at low temperatures. 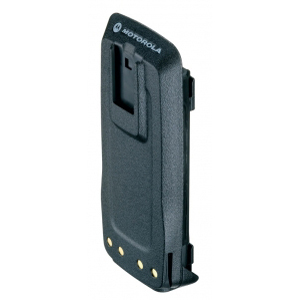 The Motorola PMNN4065A NiMH battery has 1,300 mAh capacity and is a little heavier. It also is the most economical with the lowest price. All of the above batteries are compatible with the XPR6100, XPR6300, XPR6350, XPR6380, XPR6500, XPR6550, and XPR6580 MOTOTRBO radios..
Not sure of the condition of your batteries? 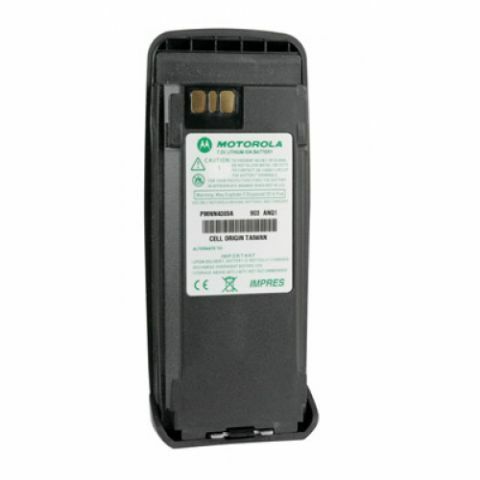 First, check the date codes and then consider investing in the Motorola NNTN7392 IMPRES battery reader if you have a large quantity. 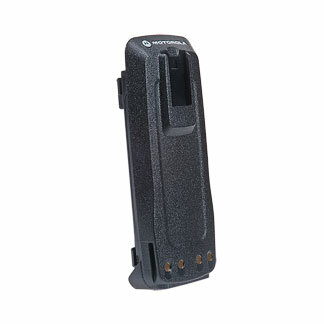 This entry was posted in IMPRES, Motorola, MOTOTRBO, Portable Radios and tagged Batteries, DMR, PMNN4066, PMNN4077, XPR6100, XPR6300, XPR6550 by magnumelectronics. Bookmark the permalink.